This essay is excerpted from the Epilogue to Kirk’s third-person autobiography, The Sword of the Imagination: Memoirs of a Half-Century of Literary Conflict (Grand Rapids, MI: Eerdmans, 1995, pp. 471-76), and is reprinted here with Mrs. Annette Y. Kirk’s gracious permission. 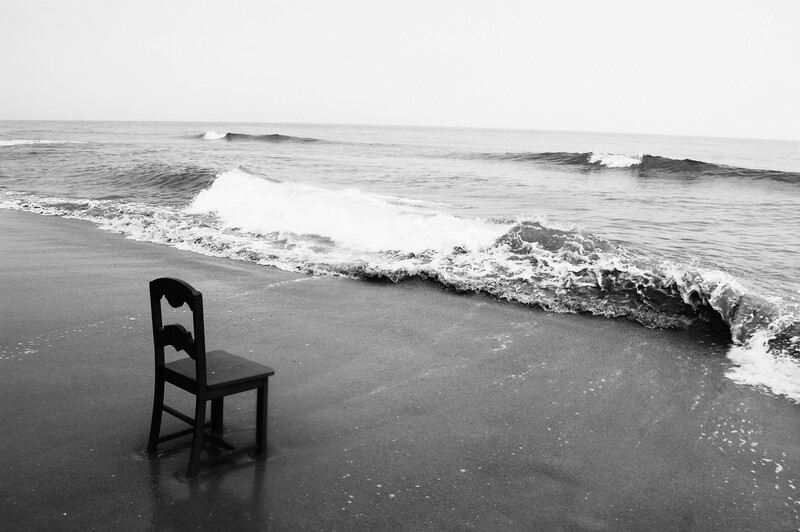 In some ages, what Thoreau says is true: most men lead lives of quiet desperation. They endeavor to evade answering the question “What is the purpose of human existence?” As children, they entertain vague expectations of some future happy condition and achievement; but commonly those hopes are dashed or much diminished once they flap or tumble out of the parental nest. After that, they may live as birds do, from day to day, until they starve or are caught by a cat. Nevertheless, many men and women are haunted by such nagging questions as “What is this all about?” or “Is life worth living?” And a good many, if pressed for an answer, will reply interiorly much as does T. S. Eliot’s Sweeney Agonistes: birth and copulation and death; that’s all. As to whether such a life, seemingly limited to reproduction and repetition, has significant value—why, some people may shrug, and others shake their heads. Into such a society Russell Kirk was born—or rather, born in the salad days of such a society, its decay accelerating swiftly as Kirk grew older. His parents did not question whether life was worth living: they lived by tradition merely, growing up decently, marrying when they were about twenty years old, bringing two children into the world, then dying—Kirk’s mother giving up the ghost while she still could be called youthful, his father dying blind, sick, and old. Their experiences in the world were unremarkable; they performed their duties patiently, harming no one; they were loving parents. Marjorie Rachel Kirk lived hopeful of great prospects for humankind, but her cheerful spirit was snuffed out by cancer; the elder Russell Kirk accepted his tribulations uncomplaining, though he never had read the Stoics, or for that matter the Book of Job. Had their lives signified something? Does anyone’s life signify anything? Time was when nearly all men and women, believing in some transcendent religion, had taken it that their little lives were bound up with some divine design, which they could not hope to comprehend wholly, but which gave meaning to their existence as persons. Such, at any rate, had been the doctrine imparted to them, and most of them had tried to conform their lives to that eternal purpose. Russell Kirk’s parents had inherited that body of belief, if in a vestigial form. That teaching had led them into honest and kindly lives. But the attenuated tradition that had sustained them was perilously weakened by the middle of the twentieth century. Performance of duties was giving way to eagerness for sensations. And that way lay decadence. Livy, at the time the Roman republic collapsed, wrote that the Romans of his era seemed to have fallen in love with death. Such a death-urge, interestingly similar to the Roman phenomenon, was at work in America during Kirk’s lifetime. (It is grimly amusing to compare Livy’s description of the Bacchanalian rites, Book XXXIX of his History, with certain cult orgies of the twentieth century; Kirk, in his mystical romance Lord of the Hollow Dark , had ventured to picture the diabolic imagination at work in such a cultic initiation of his own time.) From the Second World War onward, the civilization of Europe and the Americas had stumbled into decadence: the moral order seemed to be dissolving. Subconsciously or half consciously, a great many people came to assume that really life was not worth living; the death-urge enticed them, as in Livy’s time. There came to pass a growing general indifference concerning the past and the future of the human species: an echo of the ancient Greek cry of ruthless individuality, “When I am dead, let earth be mixed with fire!” In the name of freedom, modernism had opened the path that leads to dissolution. Indeed, there is terror in a handful of dust. “There is no death,” Gregory the Great, in the catacombs, had told his Roman flock; “Viva la muerte!” the nihilists of the dying twentieth century seemed to shout. 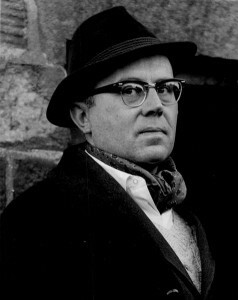 It was otherwise with Russell Kirk, who in 1993, on the eve of his seventy-fifth birthday, published two more books: America’s British Culture (1993), a counter-buffet to Demon Multiculturalism; and The Politics of Prudence (1993), addressed to the rising generation in search of principles. He was pro-life, although he did not dread his latter end except as it might trouble Annette and the four daughters. To them he could leave little but a handsome house, five acres, a sense of honor, and many happy memories. At an early age, Kirk had learned from the discourse and the examples of his mother and his grandfather that life is well worth living. He had learned also that life ought to be lived with honor, charity, and prudence.Those and other enduring principles he had accepted on authority: “Believe what all men, everywhere, always have believed.” Somewhat to his surprise, his adherence to those precepts brought strength and happiness into his life. At the age of seventy-five, Kirk had come to understand that he had sought, during his lifetime, three ends or objects. One had been to defend the Permanent Things, in a world where “Dinos is king, having overthrown Zeus.” He had sought to conserve a patrimony of order, justice, and freedom; a tolerable moral order; and an inheritance of culture. Although rowing against a strong tide, in this aspiration he had succeeded somewhat, certainly beyond his early expectation, in reminding people that truth was not born yesterday. A second had been to lead a life of decent independence, living much as his ancestors had lived, on their land, in circumstances that would enable him to utter the truth and make his voice heard: a life uncluttered and unpolluted, not devoted to getting and spending. In his antique vocation of man of letters, he had achieved that aspiration at Piety Hill. A third end had been to marry for love and to rear children who would come to know that the service of God is perfect freedom. In his middle years, the splendid Annette had given herself to him and then given him four children, presently endowed with the unbought grace of life. Annette and he helped to sustain the institution of the family by creating a vigorous example. Thus his three wishes had been granted; he was grateful. Power over others, and much money, he never had desired; he had been spared those responsibilities. Both on authority and through his own insights and experiences, Kirk had come to understand that there exists a realm of being beyond this temporal world and that a mysterious providence works in human affairs—that man is made for eternity. Such knowledge had been consolation and compensation for sorrow. Kirk stood ready to affirm his belief in such knowledge, and to be derided for it, despite his being no Hot Gospeller. Like David Hume, he was more skeptical of Rationalism than of Tradition—a worldly defensor fidei. Strongly influenced by Christopher Dawson and Eric Voegelin, Martin D’Arcy and Mircea Eliade, Kirk had come to conclude that a civilization cannot long survive the dying of belief in a transcendent order that brought the culture into being. The ideology of modernism bestrode the intellectual world from 1860 to 1960; after that, its power waned. As Arthur Koestler observed, yesteryear’s scientific doctrines of mechanism and materialism ought to be buried with a requiem of electronic music. Once more, in biology as in physics, the scientific disciplines had begun to enter upon the realm of mystery. Kirk had become in his convictions both pre-modern and post-modern. This Russell Kirk was a canny Scot with a relish for the uncanny. The one high talent with which he had been endowed was imagination, the power of raising up images of truth and terror in the mind; through images, he had come to know something of the world beyond the world. The armed vision, Kirk had discovered, penetrates through the skin of appearances to energetic reality; the unimaginative human being is dully confined to the provinciality of time and to the provinciality of place. His had been a romantic life, conducted on classical lines. Apprehending reality through images, he had succeeded in exhibiting those images of the Permanent Things to a good many people; and after his body was dust, his books would carry on that work. As his seventy-second birthday had approached, his daughter Cecilia (soon to follow in his steps at St. Andrews University) had told him in her affectionately acerbic way, “You look like a bulldog.” He recalled having noticed, at the age of sixteen, his mirrored face, suddenly encountered—innocent and somewhat wistful. Now, the years having swept by giddily, he found himself with a bulldog visage, the veteran of many controversies, mordant on occasion, given to growling, but a good guardian of the threshold and the hearth, kindly with children. Blessed or cursed with near-total recall, Russell Kirk descried in his kaleidoscopic imagination every scene of every year, almost, in his life. They all had poured by so hastily and tumultuously, and what had been done could not be undone. How very like he had been to Mossy in George MacDonald’s tiny book The Golden Key (1906), or to John, the latter-day pilgrim in C. S. Lewis’s The Pilgrim’s Regress! Then, too, in his seventh decade Kirk had come to note wryly his resemblance to the Little Pine Tree of Hans Christian Andersen’s fable—long eager for the coming of some wondrous event, not apprehending that the splendor of life is here and now. On the shelves of Kirk’s library rest a good many books he never had found time to read through. How many thousands of hours had he wasted in dreamy reverie, after the fashion of the Little Pine Tree? No doctrine is more comforting than the teaching of Purgatory, in part the gift of Gregory the Great to the Church. For purgatorily, one may be granted opportunity to atone for having let some precious life run out like water from a neglected tap into sterile sands. Improving the living moment, Kirk must reform his meandering ways even at this tardy hour. There is the book of children’s tales, long in contemplation, that ought to be written; and three more volumes of his integrated essays on various themes, already requested by a publisher, must be compiled; and more volumes for the Library of Conservative Thought (some thirty volumes thereof already published, by late 1994) must he edited. Aristotle instructs us that life is for action; Irving Babbitt, that we must find our happiness in work or not at all. What sort of action, and work for what purpose? The answer is catechetical: to know God, and enjoy Him forever. This present life here below, Kirk had perceived often in his mind’s eye, is an ephemeral existence, precarious, as in an arena rather than upon a stage: some men are meant to be gladiators or knights-errant, not mere strolling players. Swords drawn, they stand on a darkling plain against all comers and all odds; how well they bear themselves in the mortal struggle will determine in what condition they shall put on incorruption. His sins of omission and commission notwithstanding, Kirk had blown his horn and drawn his sword of imagination, in the arena of the blighted twentieth century, that he might assail the follies of the time. Above the chimneypiece in the drawing room of Piety Hill there hangs an eighteenth-century sword, in its worn leather scabbard, of the Mogul Empire. Kirk obtained it from Count Jas Tarnowski, the great Polish collector of art. This sword was forged in Persia and adorned with silver mountings in France. The head of a leopard, delicately carved in ivory, is its hilt; the creature retains its slender fangs and its ruby eyes. Is it a court sword? Perhaps; yet its edge is jagged and hacked badly, as if this elegant weapon, one grim day, had been passionately employed in desperate battle against a steely adversary. With this pretty, deadly thing, Elrond of Rivendell, master of the Last Homely House, might have hacked at orcs. Humankind has it on authority that riches cannot well pass through the needle’s eye into the world beyond the world. Being unencumbered with pelf, Kirk is not distressed by that difficulty; his worn old knapsack will suffice him for the tramp from corruption to incorruption. In imagination, at least, may he be permitted to carry with him, into another realm of being, beyond time, his Mogul sword? That blade might repel certain Watchers—the old Egyptians dreaded them—at the Strait Gate. Quite conceivably imagination of the right sort may be so redemptive hereafter as here. Forward! I am for the house with the narrow gate, which I take to be too little for pomp to enter: some that humble themselves may; but many will be too chill and tender, and they’ll be for the flow’ry way that leads to the broad gate and the great fire.